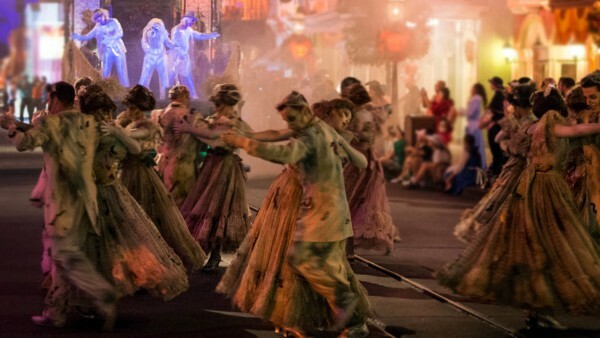 Beginning this year, you are invited to gather for chills and thrills when the all-new Frightfully Fun Parade takes to the streets at Disneyland® Park, featuring a spectacle of spooky spirits from the deepest bayous of New Orleans to Halloweentown and beyond. The “Frightfully Fun Parade” will be presented exclusively during Mickey’s Halloween Party, a separately ticketed event at Disneyland Park hosted over 17 nights from Sept. 23-Oct. 31, 2016. Reserve tickets for your today! If you’re ready to vacation at Disneyland, click here to request pricing! Parking is not included in the ticket price and parking fees will apply. Mickey’s Halloween Party is a nonsmoking event. Smoking will be permitted in designated areas outside Disneyland park in the Main Entrance Plaza. This entry was posted on August 29, 2016 at 2:36 pm and is filed under Disney News, Disney Vacation Planning, Disneyland, Special Events. You can follow any responses to this entry through the RSS 2.0 feed. You can leave a response or trackback from your own site.